4GB of RAM for QSZGA (2560x2048 pixels) resolution devices. Minimum of 4GB of inbuilt storage is required for phones, and for handsets with this base spec an SD card slot will be required to support updates. Windows 10 for phones also requires power and volume up/ down buttons, while for phones with a WVGA display, Start, back, and search buttons are also required. Tablets required buttons are power and volume up/ down, while Start and rotational lock buttons are optional. 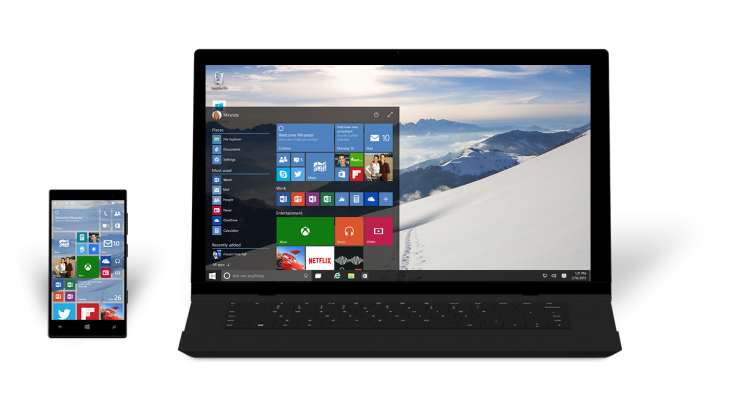 Windows 7 SP1 and Windows 8.1 S14 can be updated to Windows 10 both via media and Windows Update. Also, Windows Phone 8.1 will be updated via Windows Update only, while Windows Phone 8 users will first be required to upgrade to Windows Phone 8.1. Although Windows RT is seen without any upgrade path.